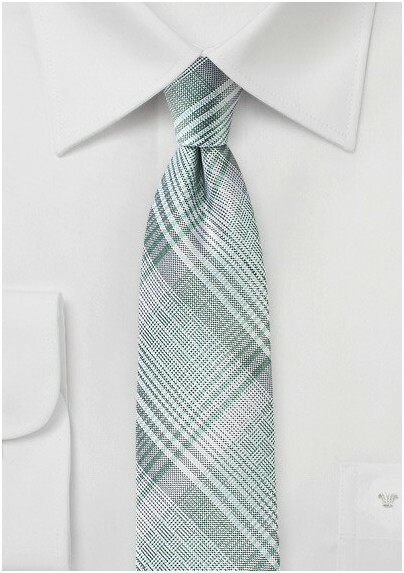 Update your look this summer with the perfect seasonal tie in modern check design. A soft silver is a perfect background for woven lines in a pastel mint and charcoal that form complex lattices, a classic yet complex plaid design. 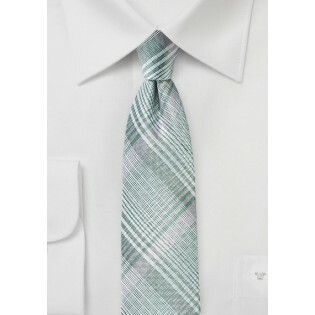 This tie is made from a quality silk fabric that is matted by a woven design, which further adds to a modern look. This latest creation by Blackbird features an all-silk fabric and a modern slimmed down cut that pairs with a classic plaid scheme for a well rounded design. Handmade from 100% Silk | Length: 58", Width: 3.0"